NEW DELHI (BNS): India inched closer towards its endeavour to put in place its own homegrown Ballistic Missile Defence System as it successfully carried out the third Interceptor test Friday. 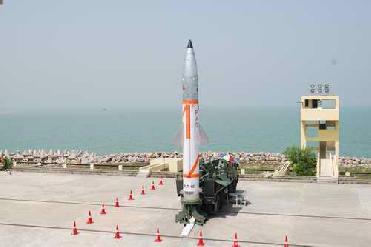 The test was conducted at 1624 hrs from Integrated Test Range (ITR) at Wheeler Island in Orissa. 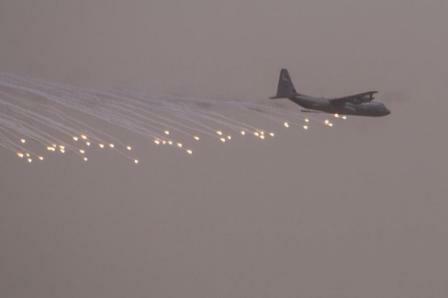 The mission control room burst into raptures as the radar display indicated the interception and destruction of the decoy enemy missile by the interceptor. “Today’s test achieved all the mission objectives. 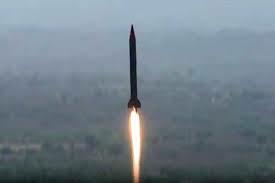 The two-stage Interceptor Missile fitted with advanced systems hit the target enemy missile at 75 km altitude,” a government release said. To mimic the incoming enemy’s ballistic missile trajectory, a modified version of the Dhanush surface-to-surface missile went to an altitude of 120 km and was launched from a naval ship about 100 km from the Orissa Coast in the Bay of Bengal. The Interceptor Prithvi Air Defence (PAD) missile, a ballistic missile with a range of 1,500 km, was launched from a mobile launcher located on Wheeler Island Launch Complex. Officials said that the third consecutive interception of Ballistic Missiles has once again demonstrated the robustness of the Indian Ballistic Missile Defence (BMD) system. 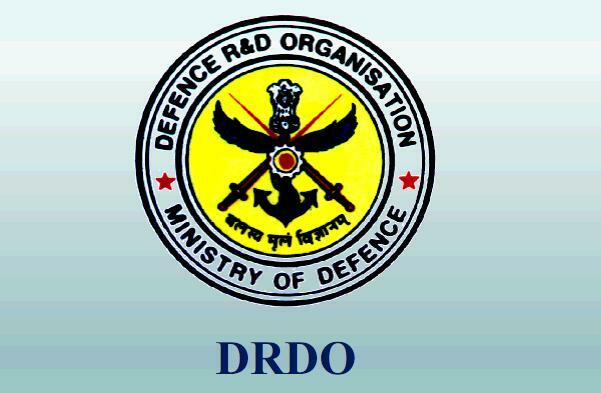 The Defence Research and Development Organization (DRDO) have already conducted two interception trials, first in Exo-atmospheric region at 48 Km altitude on November 27, 2006 and a second in endo-atmospheric region at 15 km using Advanced Air Defence (AAD) missile on December 7, the same year. The missile interception trial was witnessed by DRDO Chief M Natarajan, Air Defence Programme Director Dr VK Saraswat, senior scientists from DRDO and the armed forces. Defence Minister AK Antony congratulated the scientific community of DRDO for the third consecutive success in achieving Ballistic Missile Defence capability.